Investors not stop their SIPs or STPs due to election-related uncertainty. Over the past month, the S&P BSE Smallcap Index (11.5%) and the S&P BSE Midcap Index (7.8%) have both outpaced the Sensex (4.8%). After the pain that investors have experienced in these stocks for more than a year, they are wondering if this is the beginning of a fresh rally, and if they should re-enter them. The year 2017 was a very good one for mid- and small-cap stocks. While the BSE Midcap Index had risen 46.91% and the Small-cap Index was up 57.76%, the Sensex had registered a more sedate gain of 28.06%. The trend reversed in 2018. While the Sensex managed to rise 6.67%, the mid and small-cap indices gave up most of their gains, declining 13.44% and 23.72% respectively. The pain continued in 2019 as well. As a result, the valuation differential between these segments narrowed. On August 21, 2018, the Nifty Midcap Index's 12-month trailing price to earnings (PE) ratio stood at 62.1, the Nifty Smallcap was at 95.5, and the Nifty was at 28.3. Now, the Nifty is at 27.7, the Midcap Index is at 39.3, and the Smallcap Index at 38.4. "The markets have perhaps realised that mid and small-caps had moved into the over-sold zone over the past year. This seems to be a catch-up rally," says Anup Maheshwari, chief executive officer, Equirus Wealth Management. Market participants are of the view that a majority government of the Bharatiya Janata Party, and not a coalition government, is likely to be formed after the general election. "It connotes policy continuity for the markets. Investors expect that if this government comes back, it will formulate pro-industry policies that will revitalise the economy," says Nikhil Banerjee, co-founder, Mintwalk. This has provided them the confidence to start buying again. Sentiment has improved at the global level, too. US-China trade tensions have abated, with the former moderating its stance. The US Federal Reserve, which had been on a rate hike spree, has changed its stance. "As interest rates in the US rose, money was pulled out of emerging markets. But with demand in the US slowing down, the US Fed has turned more dovish. US yields have also corrected from recent highs. This has led to money flowing out of developed markets and into developing markets," says Vinit Sambre, head-equities, DSP Investment Managers. Due to all these factors, foreign institutional investors (FIIs) have turned willing to invest in Indian equities. Its recent underperformance vis-a-vis China and other emerging markets has also led them to invest in the country. They pumped Rs 17,219.62 crore into Indian equities in February. Investors, however, need to tread with caution as this rally could well fizzle out. "The macro-economic data has not improved substantially. A quick revival in earnings also does not seem to be around the corner," says Maheshwari. The continuance of the rally will depend on election results. "If the results are according to the market's expectations, the indices could move higher," says Anugrah Shrivastava, co-founder and head of investments, Smallcase Technologies, which offers theme-based stock portfolios to retail investors. If a coalition government comes to power, the markets could remain weak for some time. Recovery will then depend on that government's nature and performance. 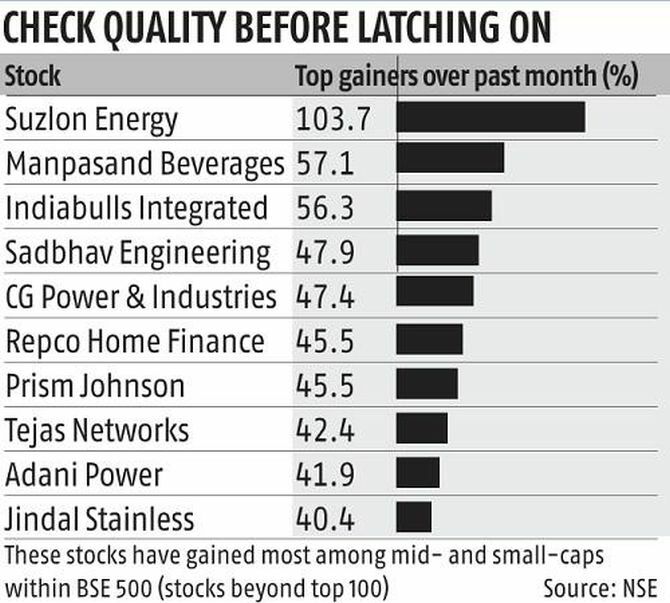 Typically, after a sell-off of the magnitude seen in mid and small-caps over the past year, these stocks take time to recover. "Mid- and small-cap stocks are typically not bought by large institutional investors. They are bought more by retail investors, high net worth individuals, and mutual funds. After a big fall, the former two categories take time to come back strongly," says Banerjee. 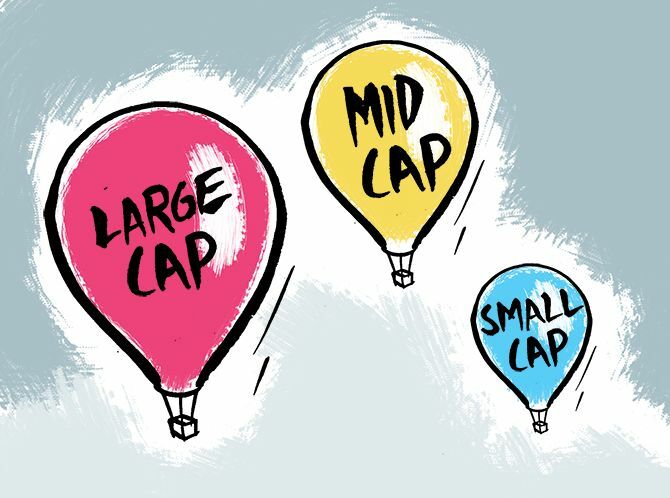 Invest in mid and small-cap stocks now only if you have a long-term horizon. "These businesses tend to grow faster on a smaller base, and hence have the potential to outperform large-caps over a five-seven-year horizon," says Sambre. He adds that sticking to quality businesses is the key. Investing in poor-quality businesses in the wake of a rally, expecting short-term gains, would be a mistake. Several other experts, too, have turned optimistic about the long-term prospects of mid- and small-caps. Says Jatin Khemani, founder and CEO, Stalwart Advisors, a Sebi-registered independent equity research firm: "Many well-run small and midcaps with leadership in their categories, debt-free balance sheets and quality management have become available at reasonable valuations, which wasn't the case over the past two-three years." According to him, investors should not wait for the election-related uncertainty to subside before deploying capital. "If history is anything to go by, you either get a good entry point or certainty, but not both," he says. Shrivastava suggests that instead of betting on just one or two stocks, which investors think will turn out to be multi-baggers, they should invest in a diversified portfolio of around 15 stocks and spread their investments in them over a period of time. Mutual fund investors should make sure that they are in mid and small-cap funds with long-term track record of steady performance. Their allocation to these funds should not exceed 25% to 30% of the equity portfolio, or else the portfolio could become very volatile. Finally, they should not stop their systematic investment plans (SIPs) or systematic transfer plans (STPs) due to election-related uncertainty.